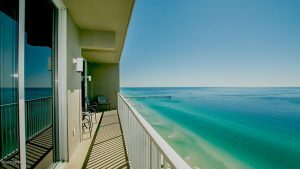 If you’ve been looking for a luxury condominium in Panama City Beach, this beautiful new three bedroom and two bath condo with just under 2000 ft.² of living space is currently up for sale. 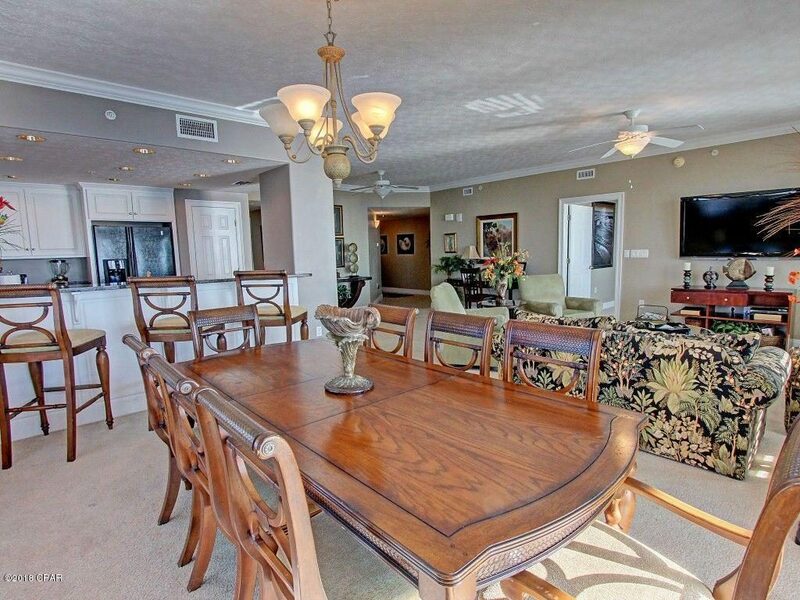 Located in the famous Treasure Island on east Panama City Beach, this home, #1912, is listed at $614,999. This beautiful million-dollar view home is a rental cash cow. It currently receives over $45,000 a year in revenue. Whether you’re using it for a personal vacation home, second home, or as a rental investment, you won’t miss out. 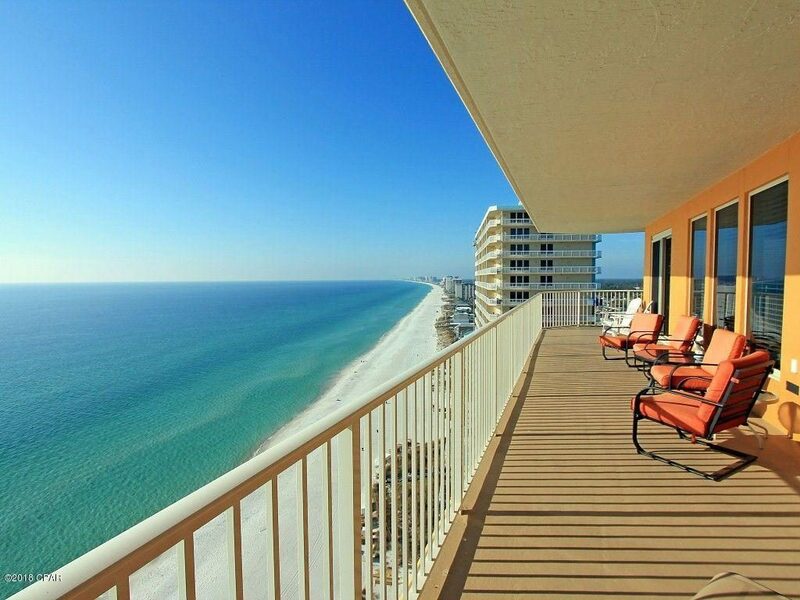 This beautiful gulf front corner unit has a wraparound balcony directly on the sugary white sands of the beach. The home features nearly 2000 ft.² of living space and was built in 2005. It’s been professionally decorated and sleeps up to eight people. 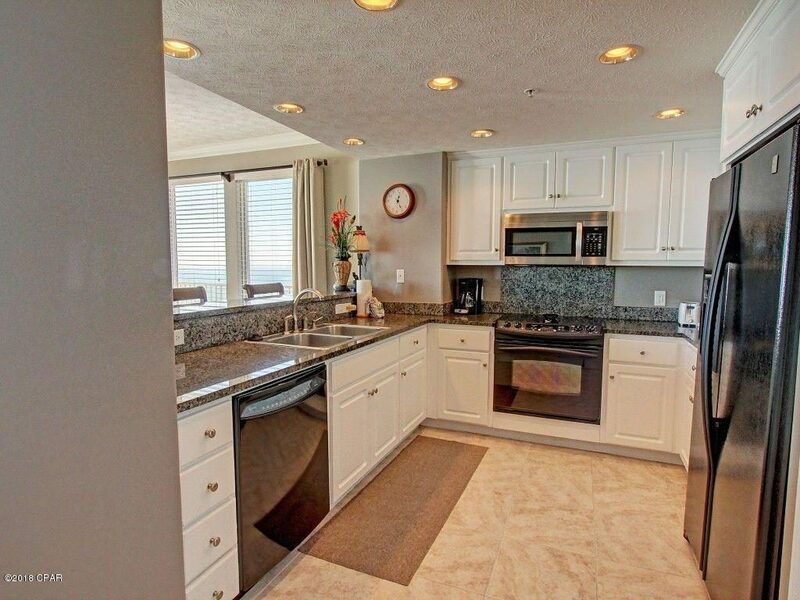 There are new upgraded appliances, a new hot water heater, granite countertops and a new refrigerator. The owner will allow up to $5000 to the buyer for new flooring or any other upgrades that they like to make. 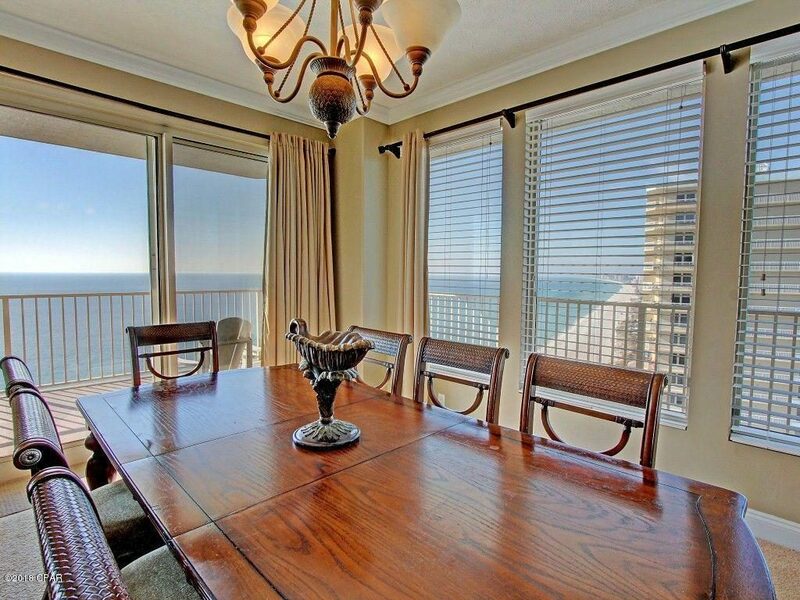 There are huge gulf front views and lots of on-site amenities. Homeowners dues are $1720 per quarter and include ground maintenance, management, pest control, sewer, trash, disposal, cable TV, and water. The building offers tons of amenities including beach access, fitness room, fishing options, swimming pool, a barbecue pit and outdoor kitchen, 24-hour security, and of course, you’re right on the waterfront. The unit has central AC, ceiling fans, and electricity. Parking is assigned and there is a deeded access to the water near the beach access waterfront. Residents have use of the Gulf of Mexico as well as a small lagoon. If this looks like something you’d be interested in please give me a call today and let’s schedule a showing. I can also give you a list of several other properties in Treasure Island or surrounding Panama City Beach condominium buildings. View the entire listing and its details here for free. 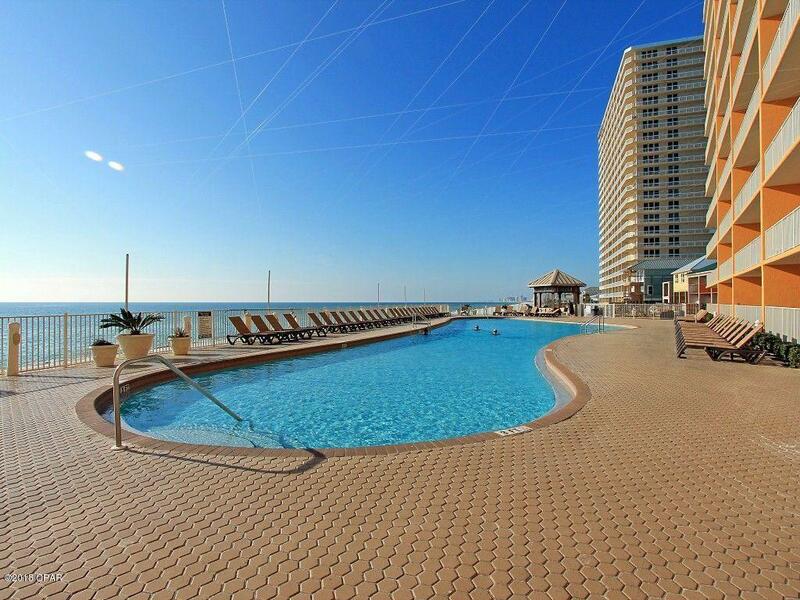 Tidewater Condos for Sale – PCBeach’s Newer Buildings Spacious Condo at Regency Towers with Amazing Views!